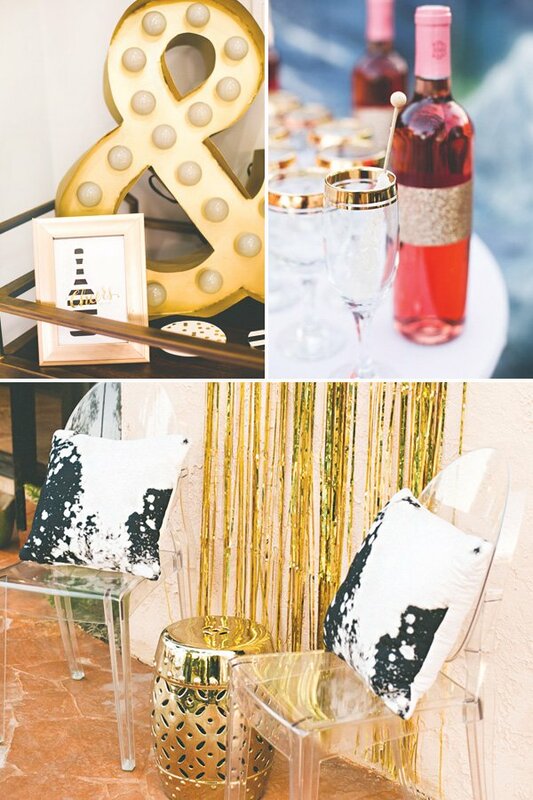 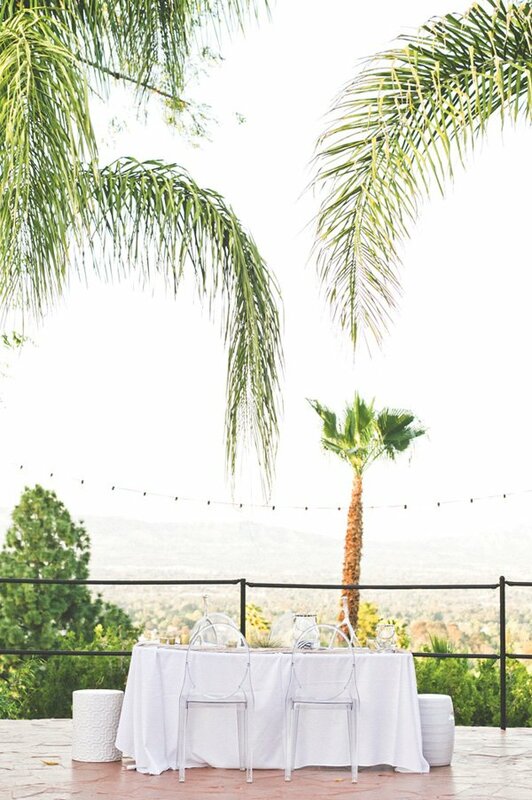 There is not a whole lot in party decor that I love more than a neutral color palette with pops of gold. 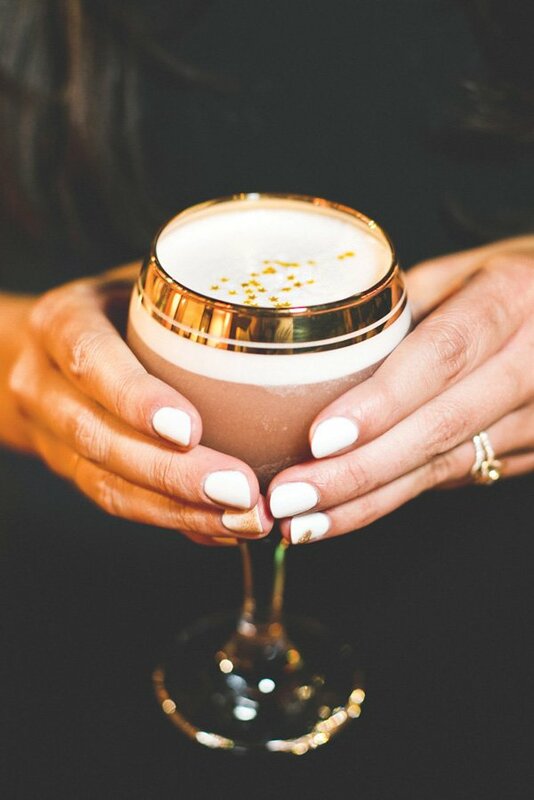 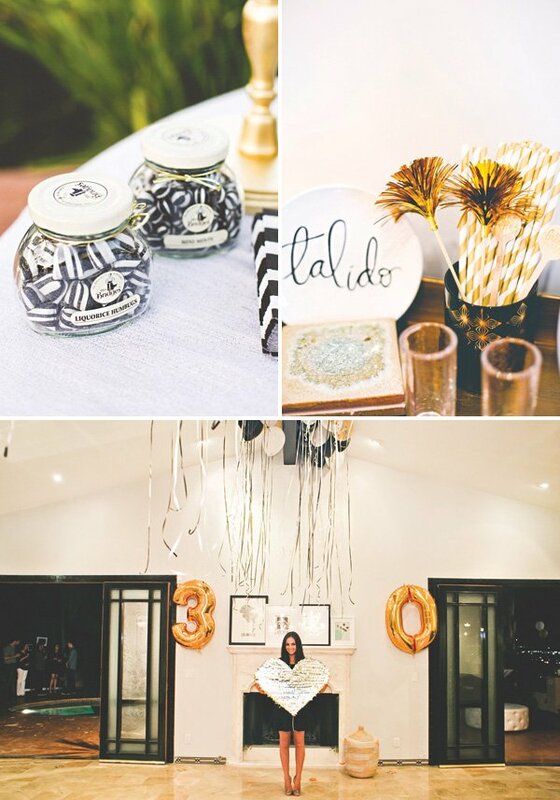 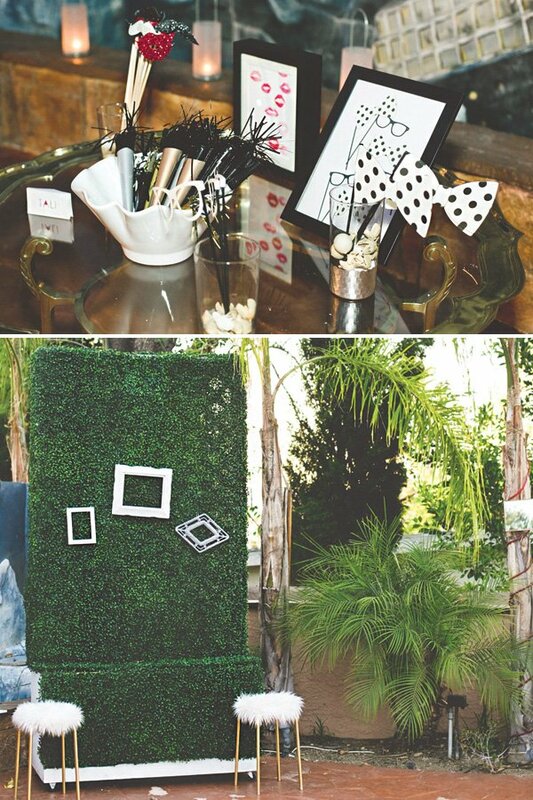 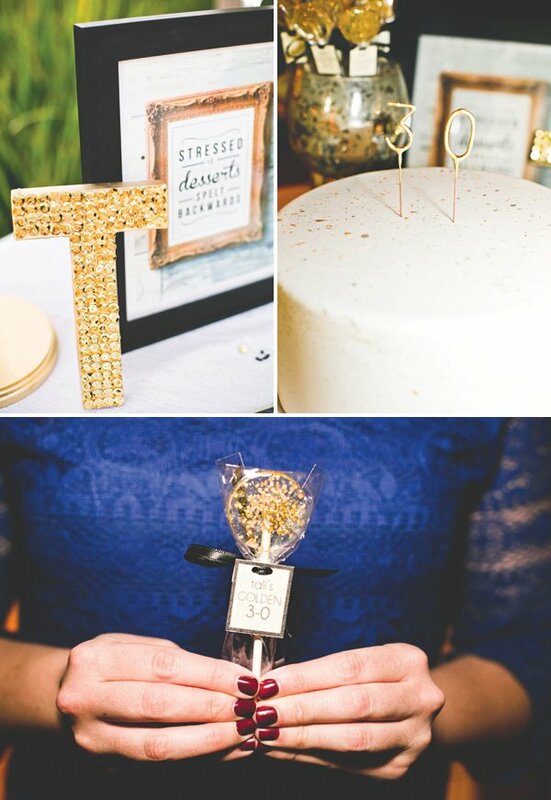 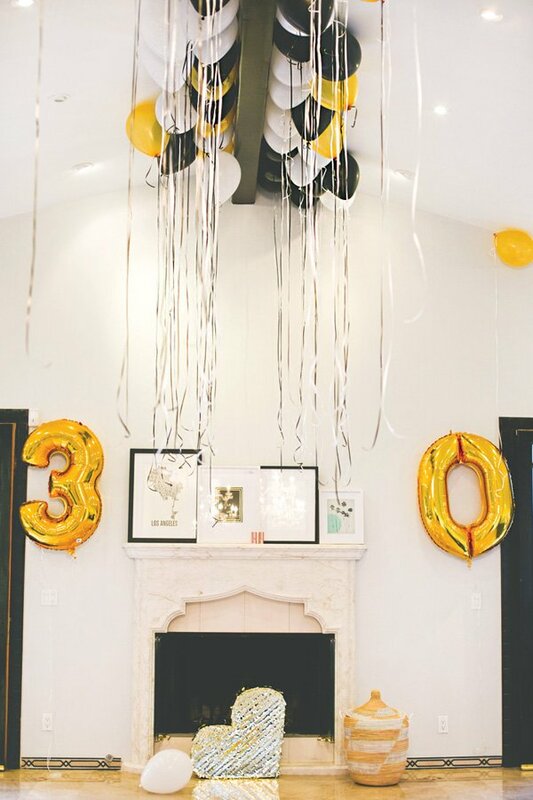 Tali Bar-Netzer of Revelry Street hit the nail on the head with this Classic & Chic Black, White & Gold 30th Birthday. 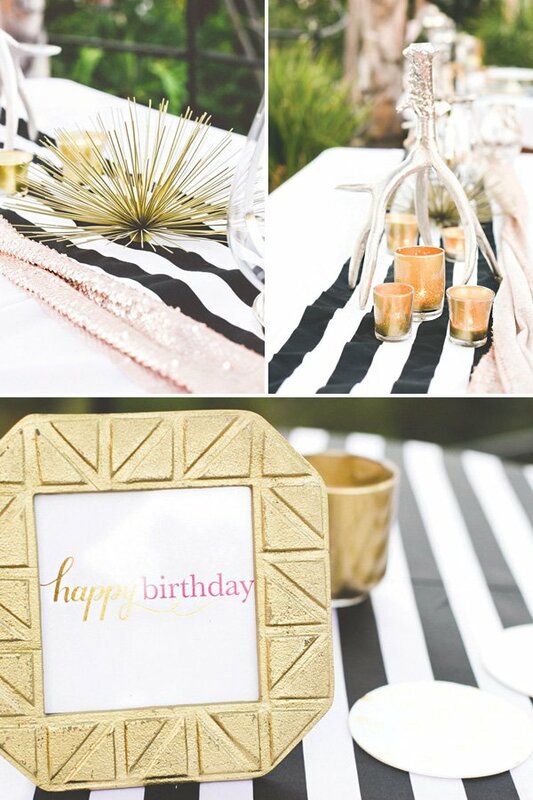 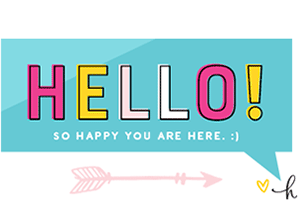 Since it was her ‘golden birthday,’ this sparkling look is an even better fit! 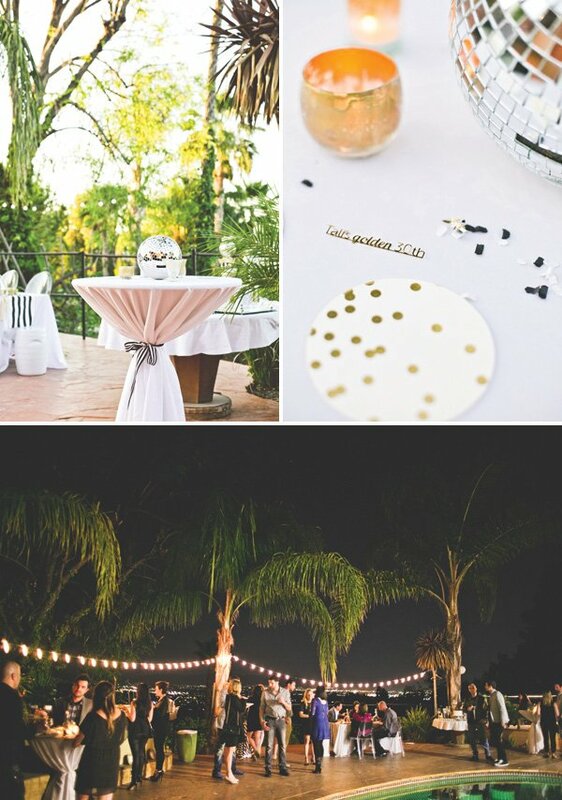 I am absolutely loving the swanky outdoor venue, with strings of twinkly lights and a beautiful city view, there’s really not a better way to ring in a new decade :). 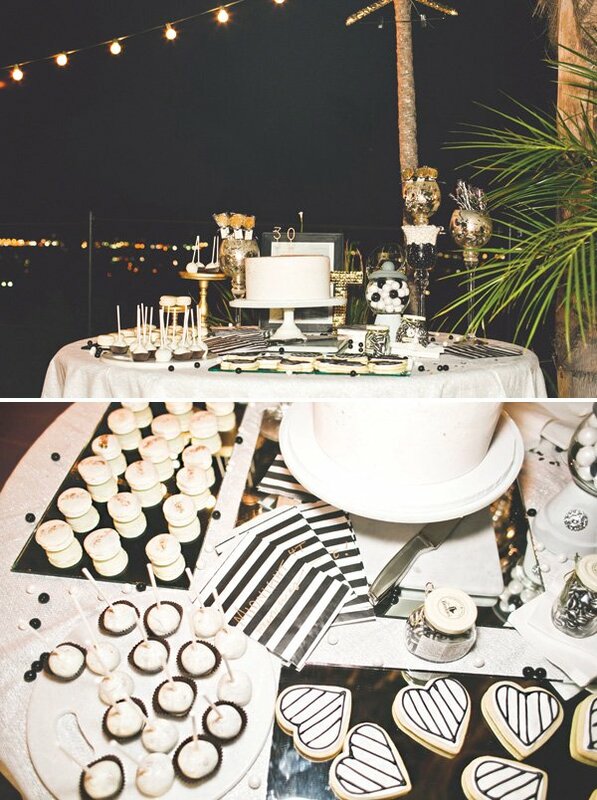 Classic black & white stripes sprinkled with chic gold accents were the color scheme of this 30th birthday cocktail event. 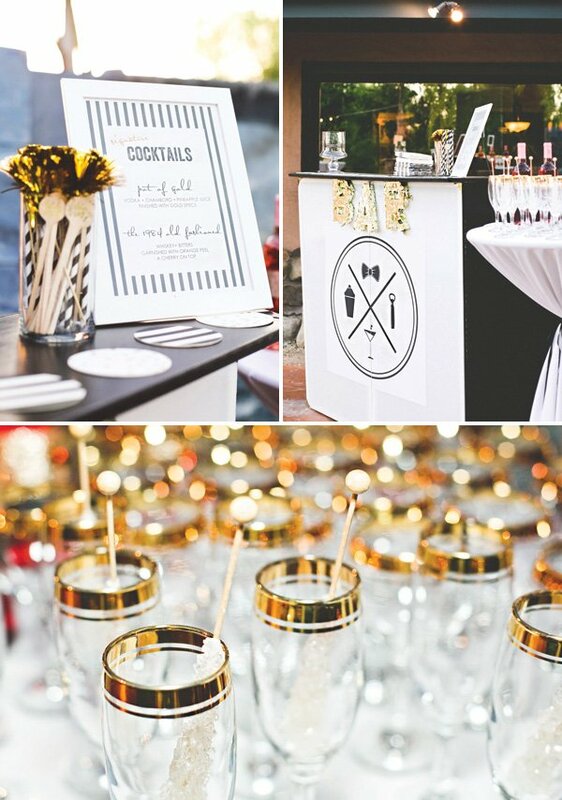 Guests sipped on signature drinks including “Pots of Gold” (complete with gold star garnishes) and the “1984 Old Fashioned.” Custom confetti lined the cocktail tables reading “Tali’s golden 30th” along with a giant gold frill piñata, confetti balloons, hedge photo backdrop with empty frames, and hanging string lights which all added to the outdoor atmosphere and decor. 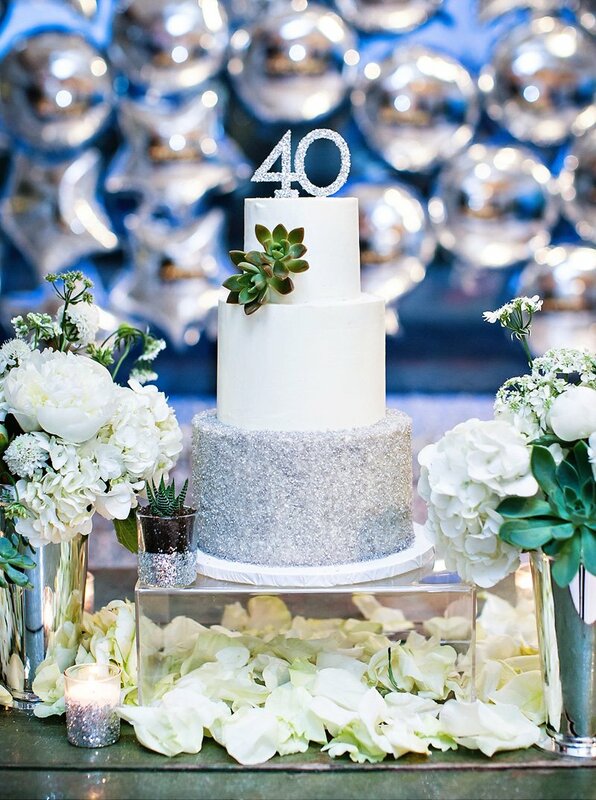 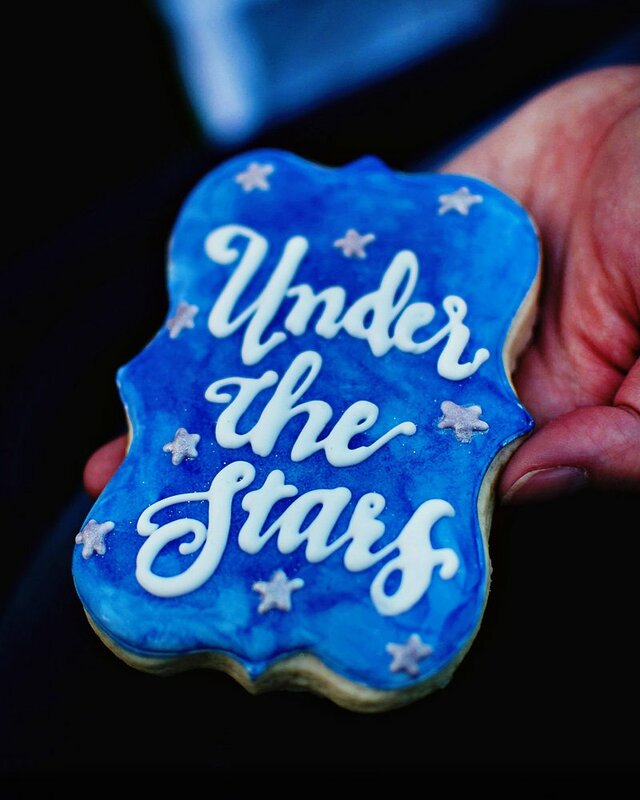 After the taco bar, sweets included white and gold metallic macarons & cake pops, a cake with a splatter of tiny gold metallic specs, black and white striped heart shaped cookies, and custom gold glitter lollipops. 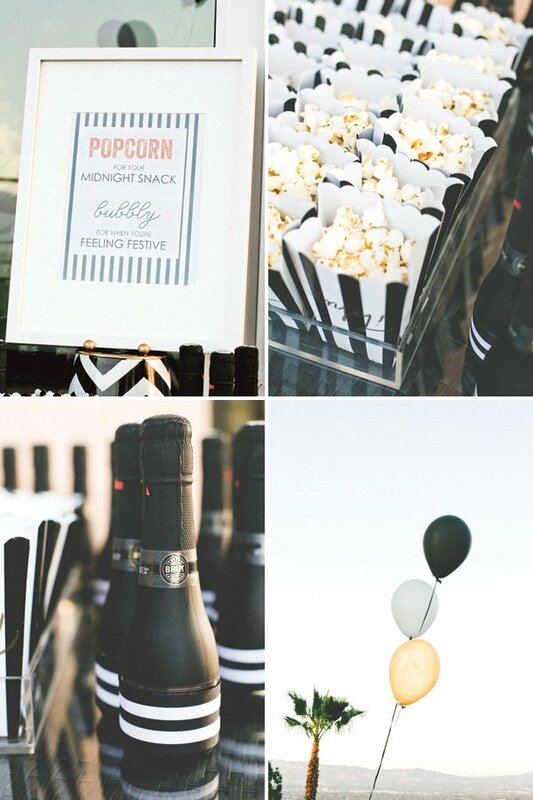 Guests left with popcorn in favor boxes as their midnight snack and brut champagne for when they’re feeling festive! 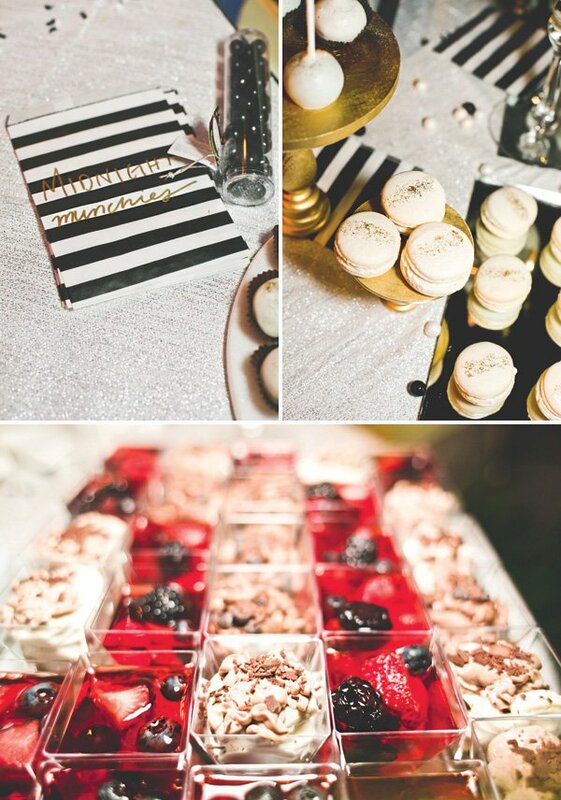 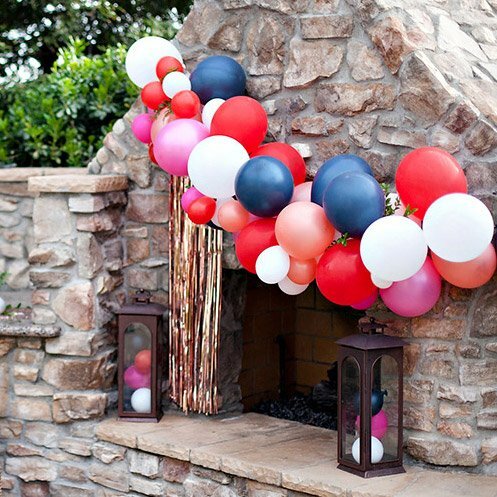 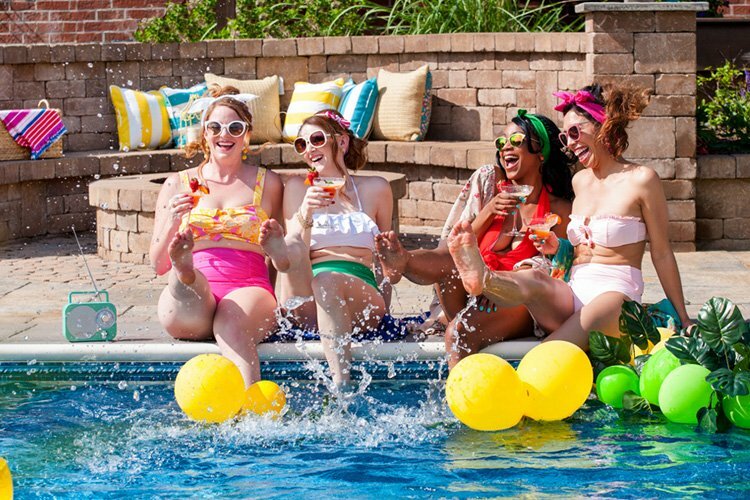 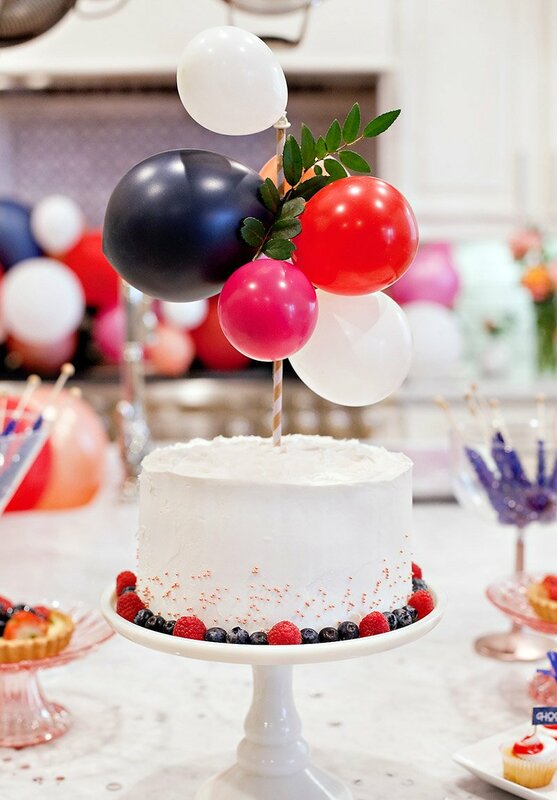 Looks pretty similar to the Kate Spade inspired “will you be my bridesmaid?” dinner party I styled – with the stripes, and the champagne, and the colors :) love it!